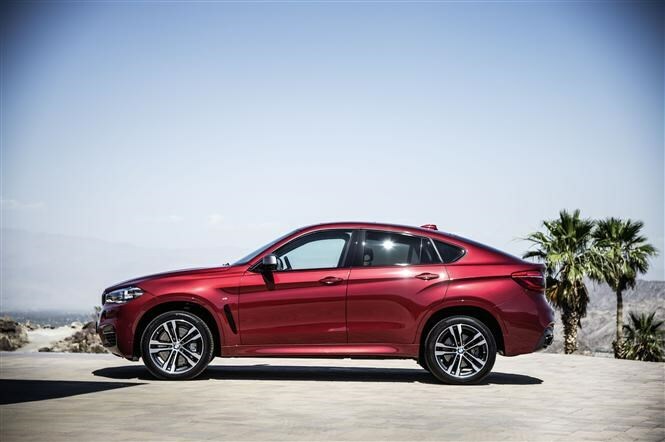 This is the all-new BMW X6 – a car that many questioned when the first generation was launched in 2008. Based on the X5 4x4 but with a sportier sloping roofline at the expense of rear passenger space, it went on to sell over 250,000 units worldwide. 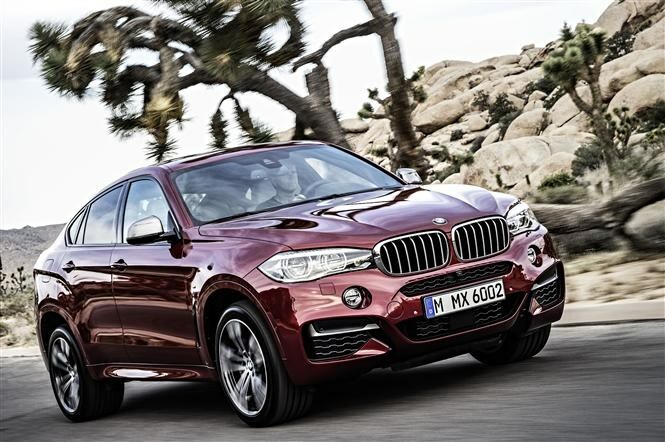 Aiming to build upon that success, the new X6’s recipe hasn’t changed; it’s just more efficient. BMW claims a 22 percent drop in fuel consumption across the range, which isn’t to be sniffed at. You’re not exactly going to be left wanting when it comes to power. The previous X6 was a rapid car, and the signs are that the new one will be just as fast. 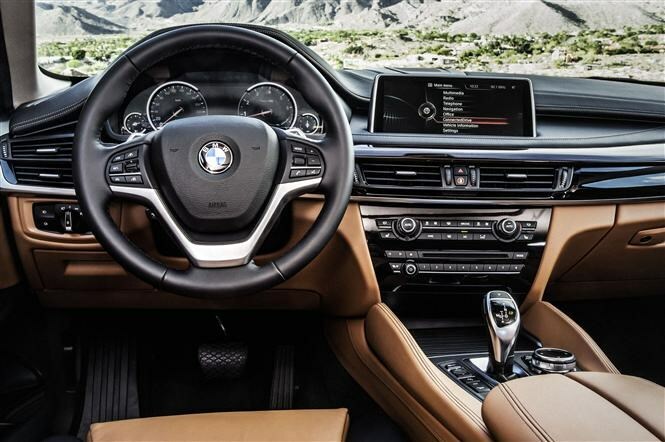 From December 2014 there will be three engines available – a petrol V8 with 444bhp called the xDrive50i, a 256bhp six-cylinder diesel called the xDrive30d and a triple-turbocharged 379bhp diesel called the M50d. 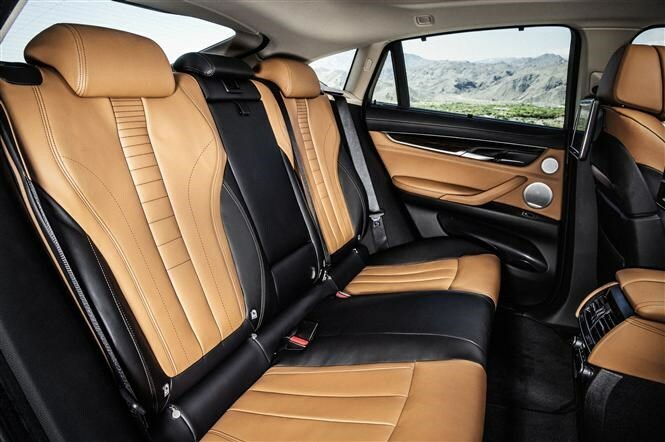 All engine options are coupled with an eight-speed automatic gearbox and drive all four wheels. In spring 2015 another two engines will be introduced when the 304bhp petrol xDrive35i will join the 311bhp diesel xDrive40d. 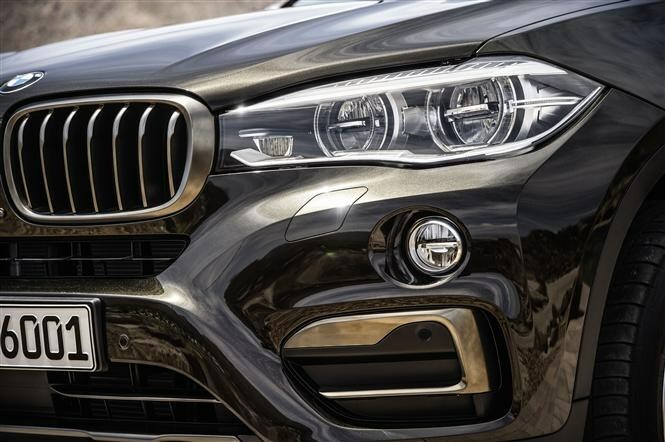 We thought the out-going X6 was one of the best-handling cars in its class, so we’re very excited to see how that has been carried through to the new model. As you may expect for a car at this price point, the X6 gets a huge amount of equipment as standard and there’s more still to go on the optional extras list. 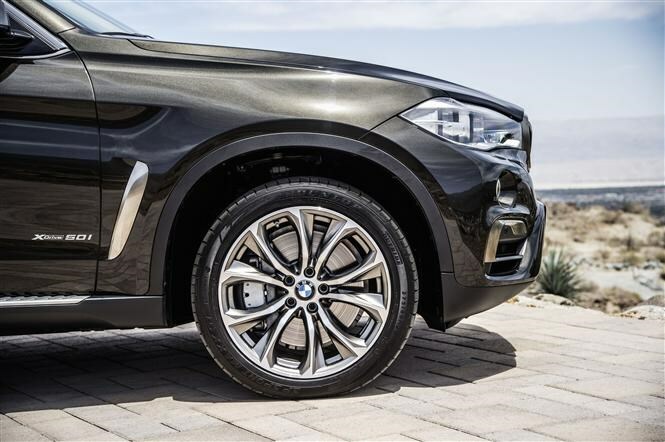 You can expect the following kit highlights on every X6: 19-inch alloy wheels (at the smallest), an automatic powered tailgate, leather upholstery and two-zone climate control. 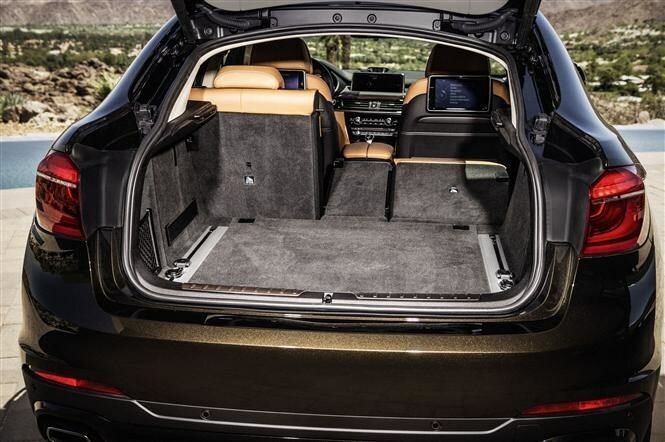 You’ll also get 40:20:40 folding rear seats to expand the boot’s volume from 580 litres with the seats up to 1,525 litres with them folded down. That’s a 75-litre hike over the previous X6. The list of optional extras also features a couple of stand-out toys, such as adaptive suspension, adaptive LED headlights, high-end stereo upgrades, night vision and a raft of other safety enhancements. 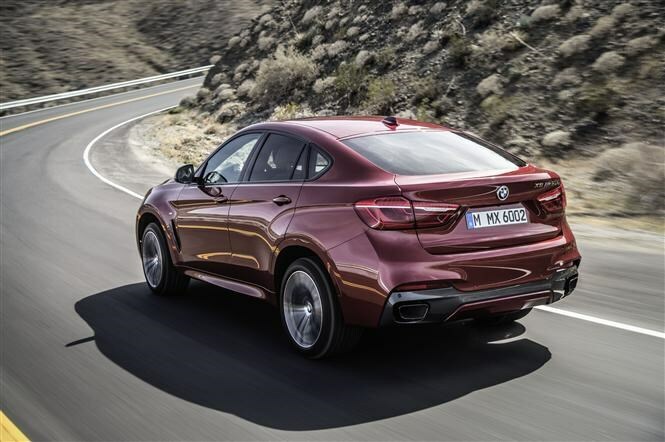 Parkers will be among the first to drive this all-new car, so check back soon for the full BMW X6 review.